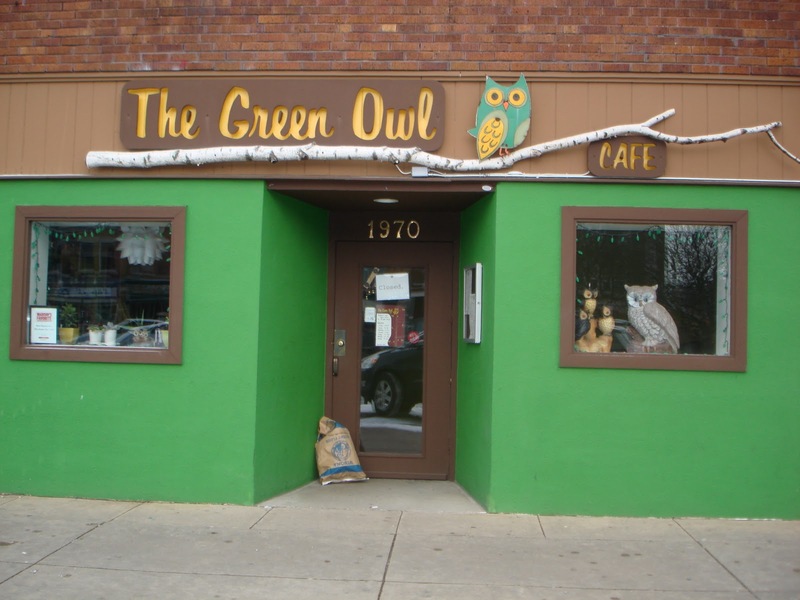 The Green Owl Cafe fits perfectly into two of my favorite things: eating healthy and owls. Putting my decorative owl obsession aside, I really enjoy trying new foods and the healthier the better so the Green Owl seemed a perfect option. However, I was a little disappointed. The menu had quite a few options on it and I give them credit for introducing me to meat substitutes I had never heard of before. However, I was hoping their focus would be on vegetables instead of meat substitutes. I got the Crabby Cake Po’Boy after much internal conflict because I was just as interested in the Vegetarian Meatball Sub. So I got the po’boy and my friend got the sub. 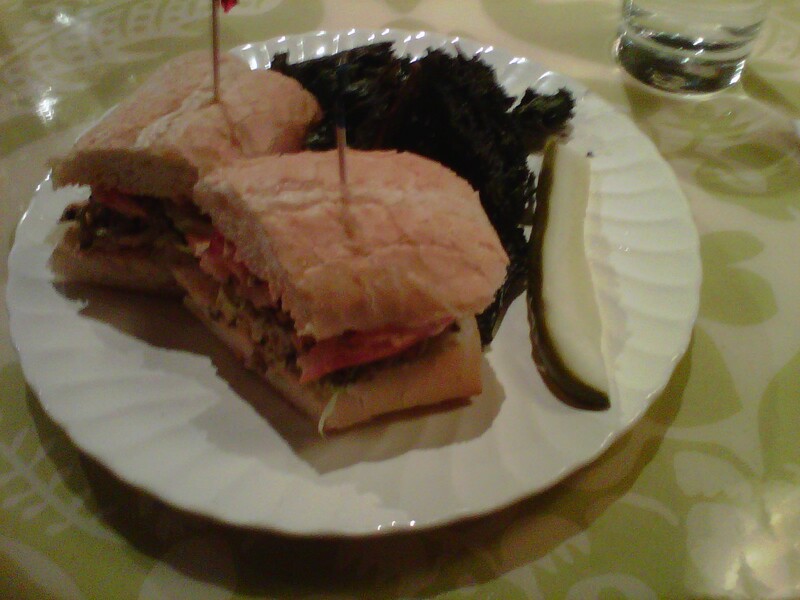 The crabby cake itself was pretty good but the sandwich as a whole was not spectacular. The chipotle sauce was overly hot without the flavor spicy things should have in addition to the heat and the sandwich was mushy. I understand the lack of meat makes things a little less textured but adding a large leaf of romaine lettuce or slices of cucumber would have added a much needed crunch to the sandwich. As for the kale chips, they were very salty, which was elevated by the fact that we never got a water refill and because of that I couldn’t make it through my entire side of salty kale chips. My friend (who is a vegetarian) loved all of the options and is pretty excited to go back! 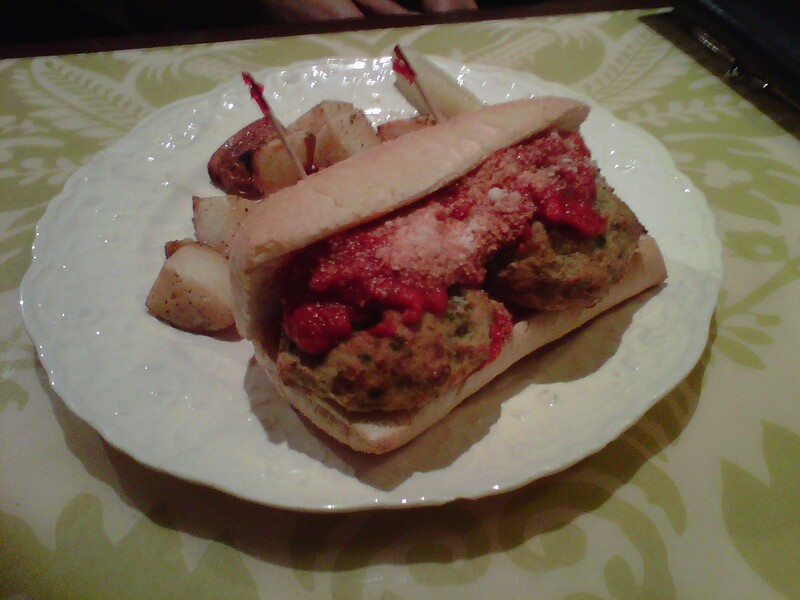 She got the vegetarian meatball sub made with eggplant. She was pleasantly surprised because she generally doesn’t like eggplant but thought the meatballs were good. However, she did not love her roasted potatoes. They were oddly seasoned with lemon and overly garlicky. She is very excited to return and I may go back to try their intriguing entrees like stuffed red pepper and vegan schnitzel. Bottom Line: love the decor, love the idea, execution was not perfect, too much meat substitutes and white bread, should focus on veggies and needs better servers.